I got this for a friend and she loves it. It is a lovely gift at a reasonable cost. It is very nicely made and very substantial and sturdy. A real keeper! Add a stylish touch to your home decor with this embroidered needlepoint poillow. 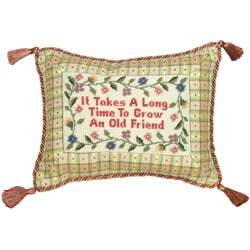 An 'It takes a long time to grow an old friend' message highlights this colorful pillow. I purchased this dear little pillow for my best friend's birthday, not entirely sure the quality would be enough to give as a gift, but when it arrived I was extremely pleased with the item! Beautifully crafted and constructed. The verse was perfect, too, for her as she dabbles in gardening. She was delighted to receive it and has told me so many times over. I really outdid myself with this little find! 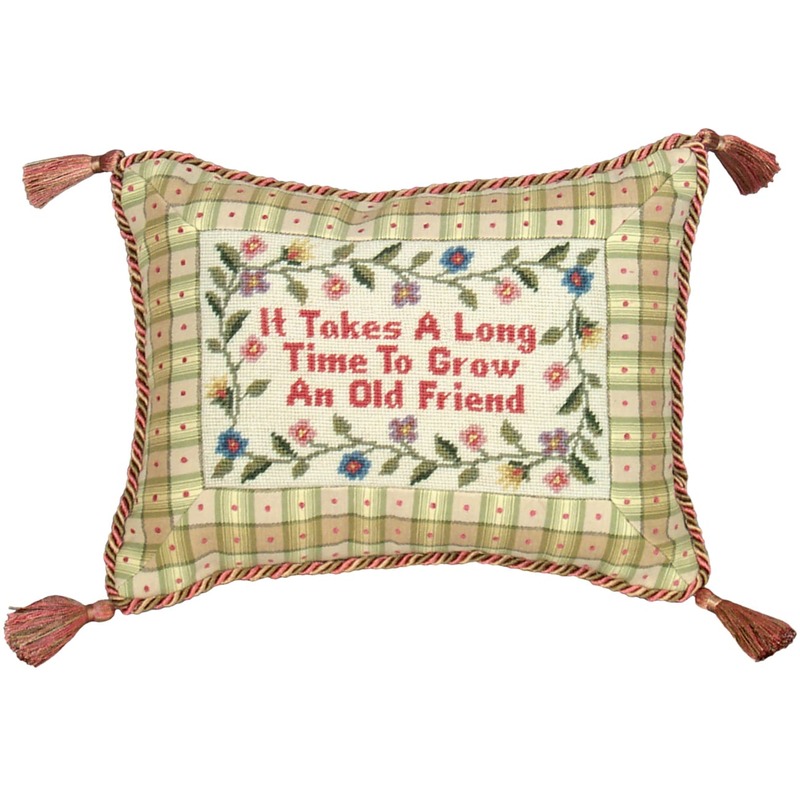 We love this cute little pillow because it has the word "Grow" in it. We collect sayings with "grow" in it because that is our last name. It is beautiful. Much smaller than I expected, but so adorable.